Keeping with the traditional 2003 design landscape, we happily built and refreshed from scratch Stimmüngs new website presence. The new site is a major improvement to the flash legacy site that it preceded. Now with a fully custom CMS backend and mobile functionality – simplicity at it’s finest. 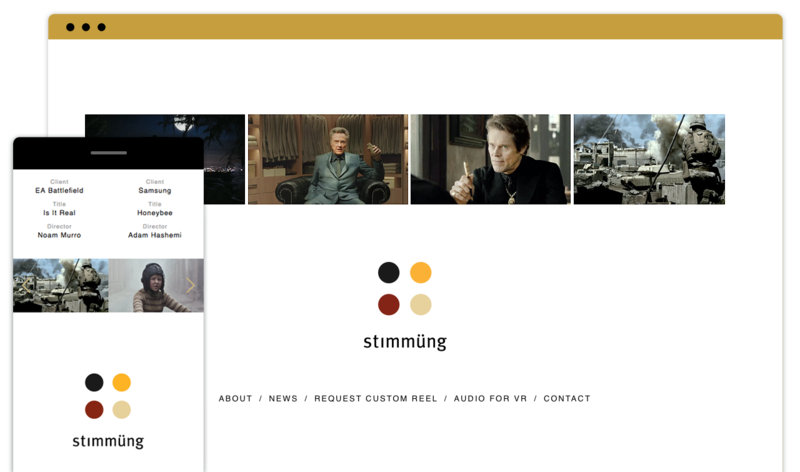 Stimmüng is a music and sound design company founded in March of 2001. The work Stimmüng has produced over the last several years has garnered Emmy, Clio, and AICP Awards. The company has been fortunate to have worked with some of the finest agencies and directors in the advertising industry.